*Heads up: There are affiliate links below, so if you decide to purchase, I get a commission at no extra cost to you. Thanks for your support! Back in June 2016, I ran into a HUGE problem with Bluehost: My website (the one you’re on right now) was down A LOT and it was loading SO SLOWLY. I knew I needed to transfer my website to a different host—but I was SO SCARED something would go wrong. Moving the website’s database(s) (if any). Here’s How to Transfer Your Website to a New Host the FREE and EASY Way! Step 1: Purchase hosting from SiteGround. 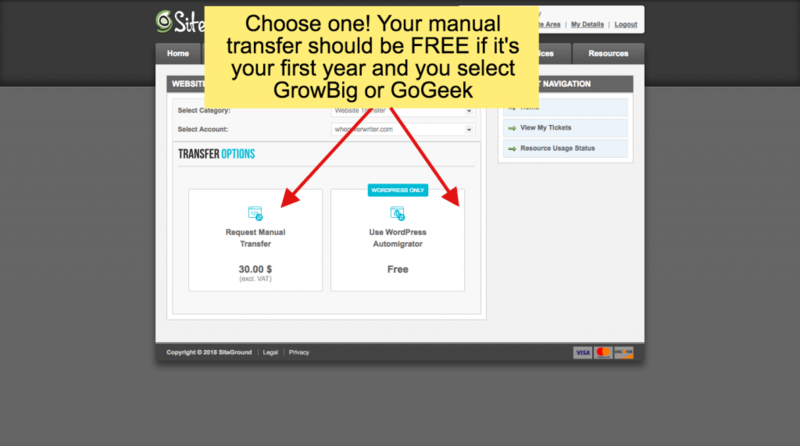 To get a FREE website transfer, you must purchase the GrowBig or GoGeek hosting (I use GrowBig). If, however, you’d like to purchase the cheapest tier, StartUp, then you’ll pay only 30 bucks to get a website transfer from SiteGround. Not bad at all! Alternative: Even if you purchase the lowest tier, Startup, you can STILL migrate your WordPress website for FREE thanks to SiteGround’s new plugin. All you have to do is install the plugin and click a button—and bam! Your WordPress website will be transferred to SiteGround for zero dollars! ?? Option 1: Purchase GrowBig or GoGeek hosting from SiteGround and get a FREE website transfer from their support team. 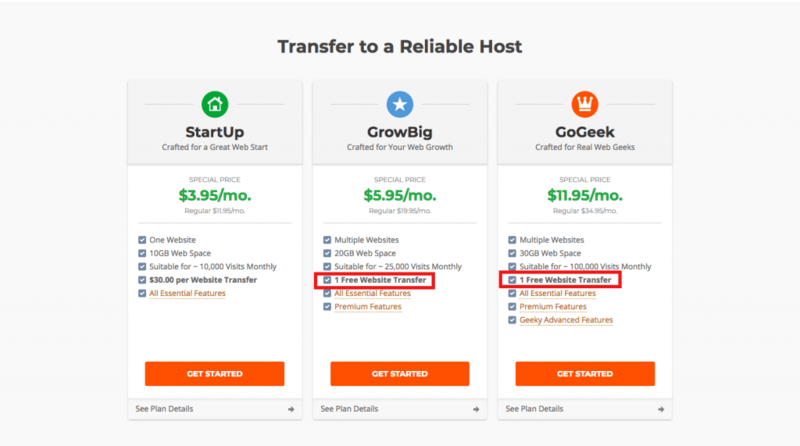 Option 2: Purchase StartUp hosting from SiteGround and pay $30. Option 3: Purchase StartUp hosting from SiteGround and migrate your website yourself with the FREE SiteGround Migrator plugin. Please note, your website MUST be a WordPress site for this option to work. 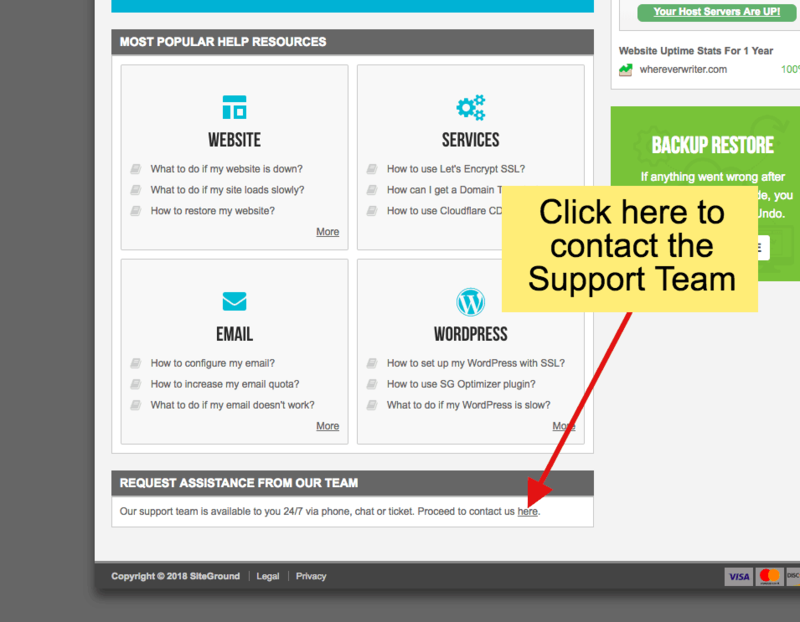 Step 2: Submit a website transfer request to the awesome SiteGround Support Team. On the Support page, scroll down. Click “here” to contact the Support Team. 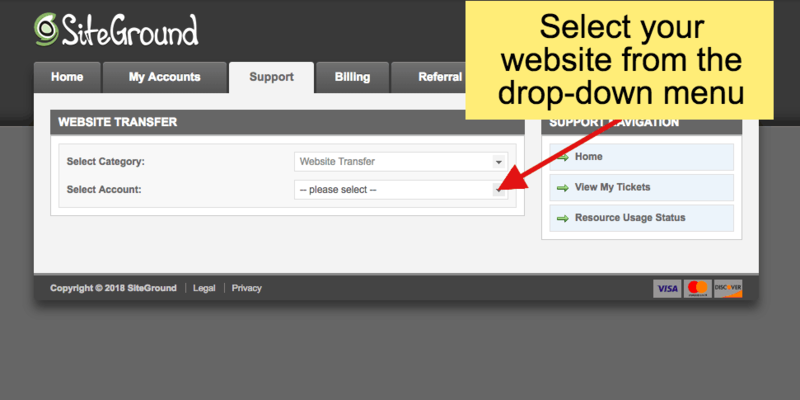 Click the drop-down menu and select your website. Option 1: Manual Transfer. This is where the SiteGround support team transfers everything for you. This will be FREE if it’s your first year and you selected GrowBig or GoGeek. Option 2: Use WordPress Automigrator. This is where you install the FREE plugin and click a button to transfer your site yourself. Keep in mind this ONLY works if you have a WordPress site. 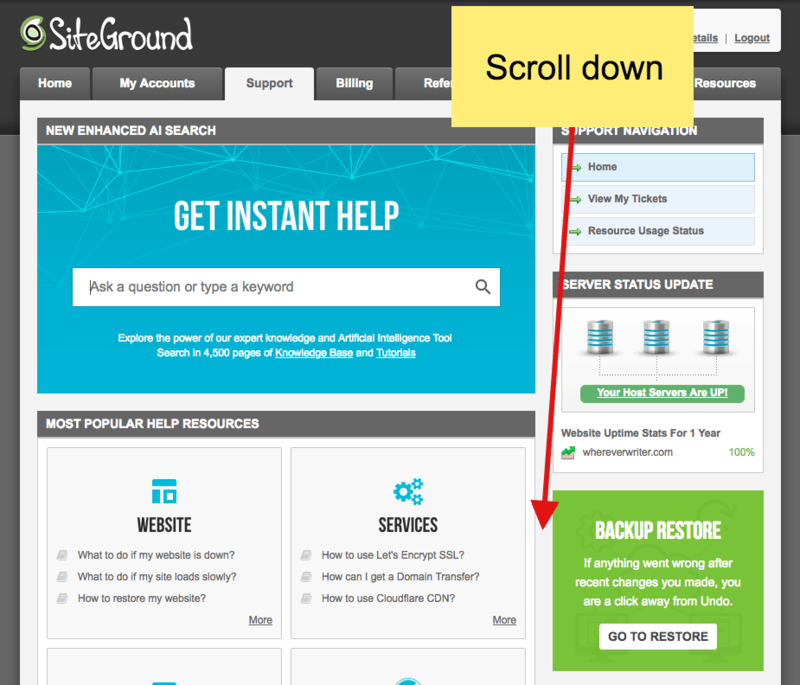 Step 3: Sit back and relax and let SiteGround do everything for you! Now you just sit back and relax and wait for confirmation that your website has been transferred. Easy peasy. Will There Be Any Downtime During My Website Transfer? No, there should NOT be any downtime if it’s done correctly. When SiteGround transferred my website to their servers, I did not experience any downtime. #1 My website load time got FASTER. #2 My blog traffic GREW. #3 My website has NEVER gone down since then! At least, not that I’ve noticed. With Bluehost, sometimes I’d try to visit my own website and it wouldn’t load. That hasn’t happened with SiteGround. Sign #1: When you try to visit your website, you get an error. Sign #2: Your website loads slowly. Sign #3: Your web host’s customer support is terrible. Overwhelmed and want to hire someone else to do it ALL for you? Haha, I feel ya! When I changed web hosts in 2016, I hired Grayson Bell at iMark Interactive to handle it all for me. And guess what? EVERYTHING went smoothly, my website is better and faster, and I now get WAY more traffic! Win win win. When I Transfer Web Hosts, Should I Transfer my Domain to the New Web Host? This is the “address” to your new “house” and it does NOT have to be housed in the same web host. So, for example, when I transferred my website from Bluehost to SiteGround, I KEPT my DOMAIN on Bluehost. Why? Grayson recommended I do that so I don’t put all my eggs in one basket, so to speak. So, you can totally keep your domain at your old host. But, if you want, Grayson can help you transfer your domain to your new host too. So there you have it! That’s the EASY and FREE way to transfer your website to a new host. Head to SiteGround to save up to 60% off your first year AND get a free transfer. Now, you don’t HAVE to do it. 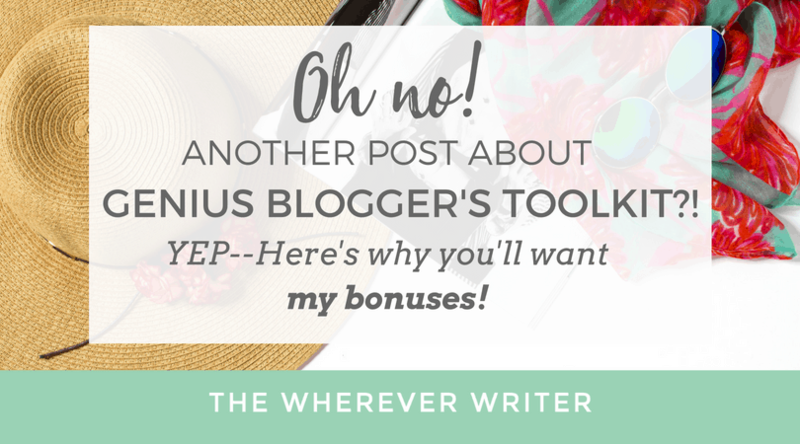 But if you intend to make money from your blog, I recommend going as professional as possible. If you’re just a hobby blogger writing about your day, then it doesn’t matter if your website is slow. It’s just for fun. Previous article Are You Making These 5 Common Blogging Mistakes?